When I’m crafting and need to iron some quick little thing, I don’t really feel lie dragging the ironing board out. I know you know exactly what I mean — unless you are lucky enough to have space enough to have one set up permanently! 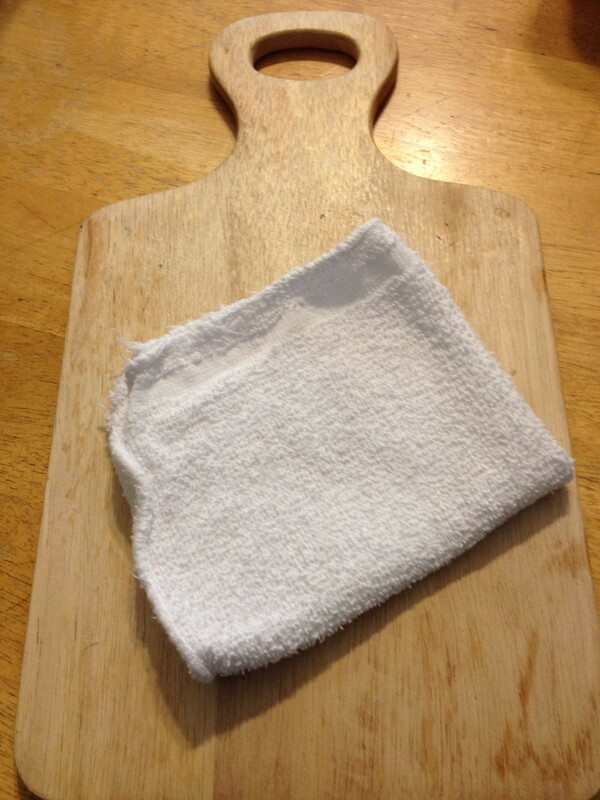 I simply grab my mini cutting board, lay a wash cloth over it and voila! I’m ready to iron and don’t need to worry about damaging my work surface. 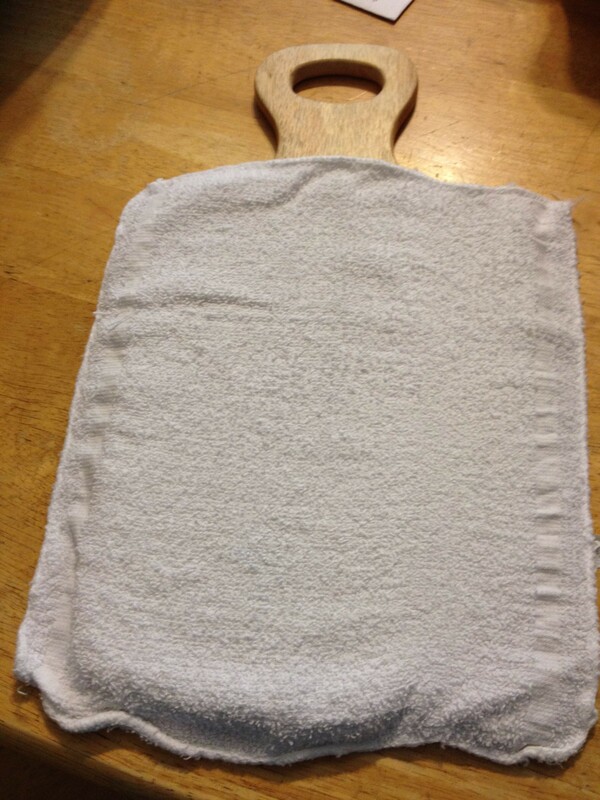 This entry was posted in General Crafts, Uncategorized and tagged ironing board, make-shift ironing board.